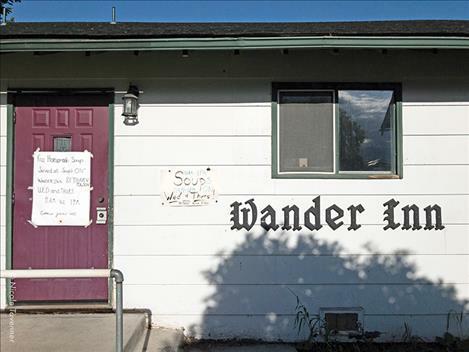 Entrance to Soup's On at Journey Be church in Polson. 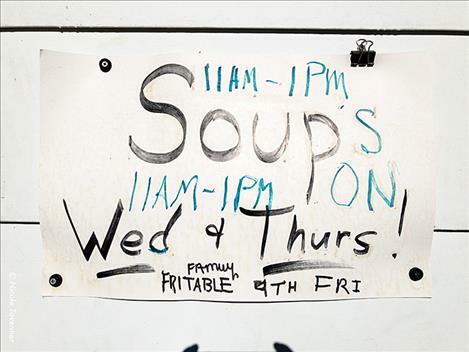 POLSON – Soup’s On has struggled to find enough volunteers to continue serving meals. The local soup kitchen will remain open for the summer, although volunteers who run the kitchen considered shutting down for a few months. Soup’s On provides two hot meals a week to members of the community, free of charge. Each Wednesday and Thursday, people from a variety of backgrounds gather to share a meal. Guests are provided with a vegetarian or meat-based soup, fresh bread, dessert, and coffee or tea. During the summer, local gardeners often donate produce for fresh salads. Carol Werner has been a volunteer cook at Soup’s On since it opened in 2009. She said Soup’s On primarily relies on retired people to run the soup kitchen, but the base of volunteers has become very small. Some local organizations volunteer to cook and serve one meal per month. Because of the lack of volunteers, the group recently decided to serve two meals per week instead of four. According to Werner, many of the people who visit the kitchen are food insecure. Some of the people who eat at Soup’s On work, but they do not make enough money to support themselves and their families. Some are unemployed, and some are migrant workers in the cherry orchards. Others are older people seeking community in a shared meal. Werner said that the people who eat at Soup’s On often express their gratitude for receiving a hot, nutritious meal among good company. She has “no idea” where the people who rely on Soup’s On would eat if the soup kitchen closed. According to Werner, the soup kitchen has enough funds to operate if it can find volunteers to cook and serve meals. Soup’s On holds one fundraiser each February. The benefit features a meal, musical performances and a silent auction. Werner said that the event usually raises $8,000 to $10,000. Paired with donations throughout the year, this covers the cost of operating the soup kitchen. Three or four volunteers are needed to cook and serve each meal. Volunteers can cook, serve, or clean up after a meal. Those interested in volunteering should contact Werner at 406-274-4496. Meals are served from 11 a.m. to 1 p.m. on Wednesday and Thursday. 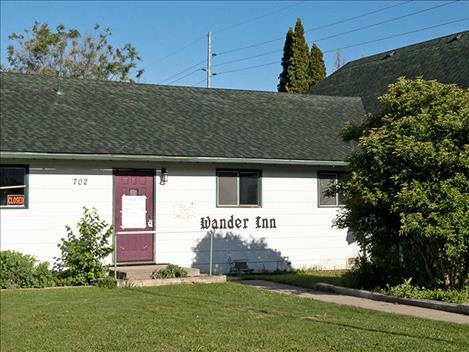 The organization is the community outreach project for journeyBe Christian Church, and is located at the church on 7th Avenue West in Polson.